The Torah (Vayikra 23:14) states that the new(i.e., Chodosh) crop of the five grains may not be eaten until after the second day of Passover (i.e., in Israel; in the Diaspora, not until after the thirdday). 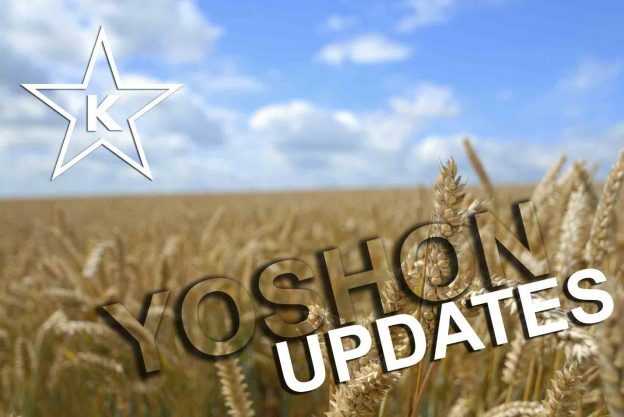 This means that the grain harvested this summer would not be allowed until after Passover of next year (i.e., 2019/5779). The term Yoshon (literally, old) refers to crops harvested last summer that became permitted after the following Passover. Thus, the 2017 crop of grains, harvested in the summer of 2017, became permitted after this past Passover (i.e., 2018/5778). Grain planted at least two weeks (see Dagul Mervava Y.D. 293) or more before Passover are permitted upon harvest since they took root before Passover. The Guide to Yoshon by Rabbi Herman, which is updated and published every year, explains how to read the codes on various products to ascertain if they are produced from Yoshon or Chodosh grains. Due to the difficulty some people have in using this guide, we have prepared an abridged version, which will be available HERE containing the most commonly used items and the date code information for those products.